This is a great last minute addition to potato salad, macaroni salad, hamburgers, or hot dogs! Place the sliced red onions in a large jar and pour the Marukan Seasoned Gourmet Rice Vinegar into the jar. Refrigerate for at least 1 hour. For maximum flavor, let onions sit longer in fridge or overnight. 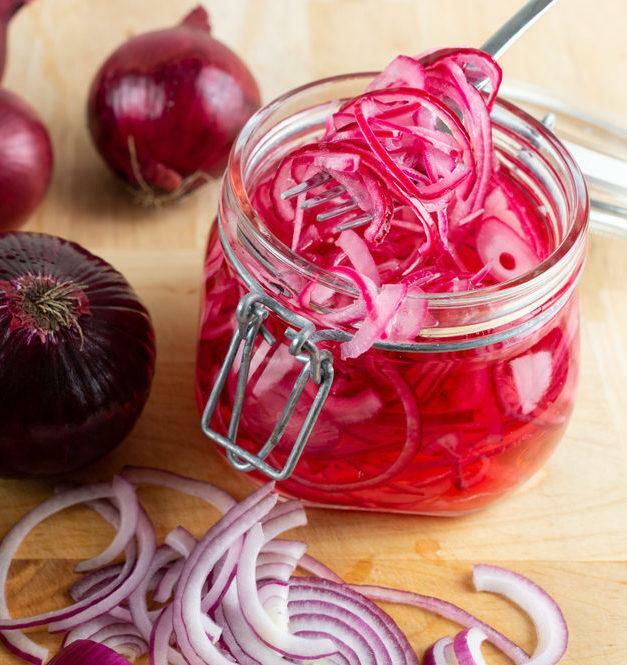 Pickled Red Onions can be stored up to 2-3 weeks.